It was a dark and stormy night. At least that was the case at the Jazz Standard where we were holed up waiting out the long hours until our early morning plane would take us safely home to our loved ones who were, I am certain, desperately waiting for our arrival. Well, you’ve obviously never been to the Jazz Standard if you have to ask a question like that. The Dark and Stormy is a beguiling mix of dark rum and ginger beer and is the national drink of Bermuda and the Jazz Standard, where it is served in tall glasses that just seem to keep coming and coming. Anyway, there we were “stuck” in Manhattan, my two friends and me, one Friday night last March. We called our lonely families and told them not to worry, we’d make do. We bivouacked at the W Hotel on Lexington (I know, Midtown – the hardship. We were strong) and trekked all the way down to Prune in the East Village for a little sustenance. (we survived, I swear, almost entirely on marrow bones and perhaps a roasted chicken and a litre or two of red wine.) Afterwards, we beat a hasty retreat. But, then what to do? It was dark and, if not stormy, scary. We were like babes in the woods or, at least, the mid-40s. We decided to hide out some where and wait it out. But where? Thank God for Google. We were finally able to find refuge at the Jazz Standard under a place called Blue Smoke (order the ribs). We breathed a collective sigh of relief and settled in for an evening of James Blood Ulmer and the Memphis Blood Blues band (featuring Vernon Reid). I know, I know – so much blood. But, seriously, we got through it and I give all the credit to the Dark and Stormy. So, for my friends stuck in New York as Hurricane Irene bears down on this dark and stormy night, a little something to get you through. It worked for me. 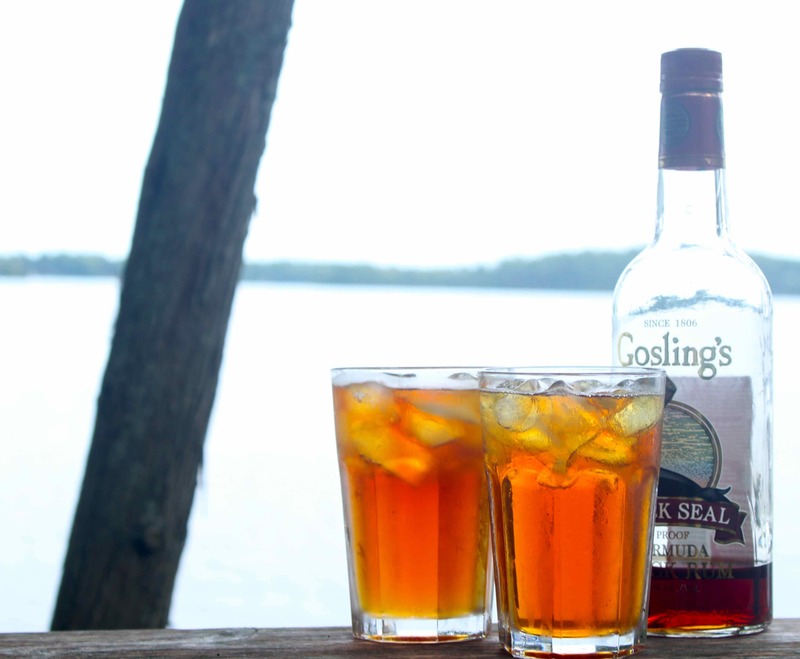 This entry was posted in Drinks and tagged Dark and Stormy, jazz, New York, rum. ginger beer. Bookmark the permalink. This sounds like the perfect late summer drink. Pair it up with a vanilla heavy dessert and I’m in heaven!